I know I haven't been around much lately. We've been thinking about a huge shift for Red Wicket Farm. We will no longer be selling eggs to the public. This section of the blog used to detail why we are no longer selling eggs to Clintonville Community Market. I have removed this post because the Clintonville Community Market general manager threatened to sue me over my description of their business practices and it simply isn't worth my energy to fight it since I will never do business with them in any capacity ever again. We will be keeping only a few chickens through the winter. 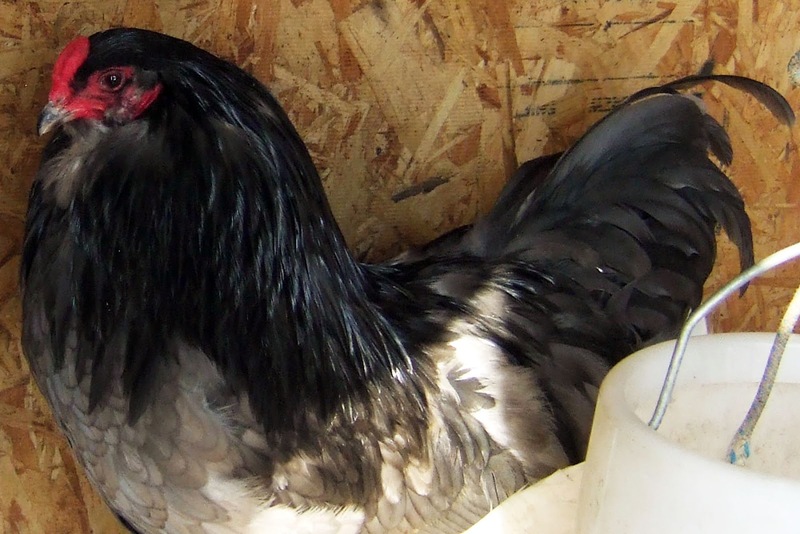 Then, I have reserved some Black and Lavender Ameraucana chicks from very good bloodlines. They will hatch in April 2015. We will go from a farm selling eggs to a breeding facility breeding Ameraucanas and Marans to the Standard of Perfection. I've promised my husband that I won't have more than 24 birds ever again (Yeah, right. But it's a goal). Thank you so much to our wonderful, loyal customers. Thank you for supporting local agriculture and healthy, happy hens. We appreciate you very much, and I'm sorry to disappoint you. I hope you can find another good source of tasty eggs. Thanks again, and if you're ever in the market for a true-bred Ameraucana or Marans, think of us!